No need for an expensive trip to the frame shop. 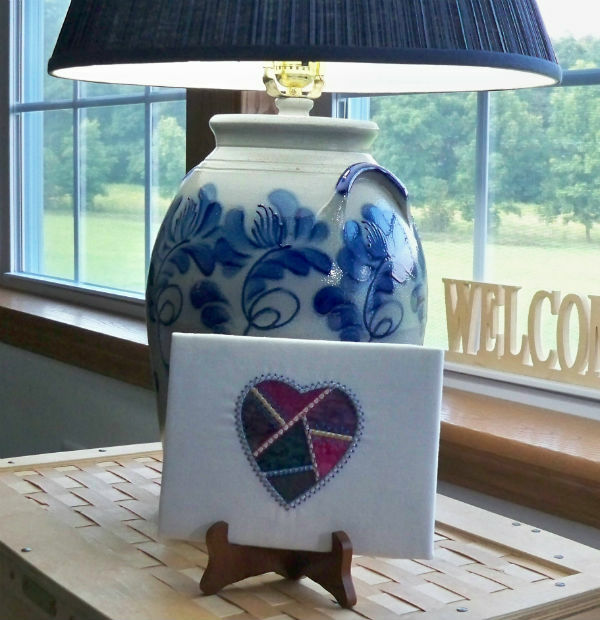 Use a simple canvas board to display your embroidery stitchouts. 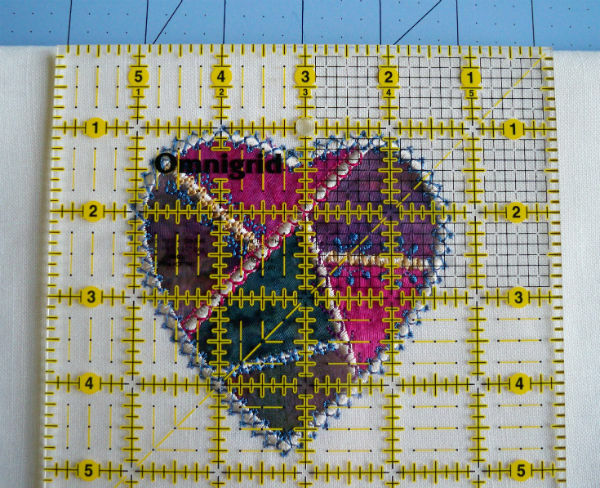 Most embroiderers know that a test stitchout is required. That's how we are sure that all of our settings are correct, that the thread colors work well, that our stabilzer is the right kind, and that the planets have all aligned properly. But what do you do with all of those test stitch samples? Put them on display. Start with your sample, low-loft batting,spray adhesive, painters tape, glue gun, a ruler, a canvas board, and an easel. Press your stitchout and spray the back with temporary adhesive. Finger-press it to the batting. Center the padded design on the canvas board, folding to the back, and taping the edges with painter's tape. 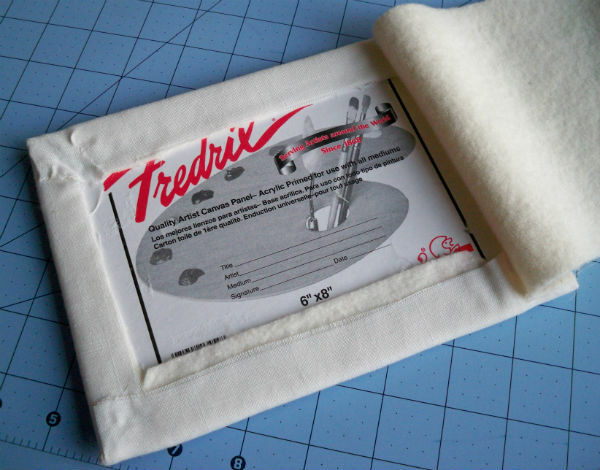 When the design is centered on the front, trim excess batting from the corners on the back to reduce bulk. Tack down the corners with hot glue, much like wrapping a present. Make sure it looks good from the front; it really does not matter what the back looks like at this point. 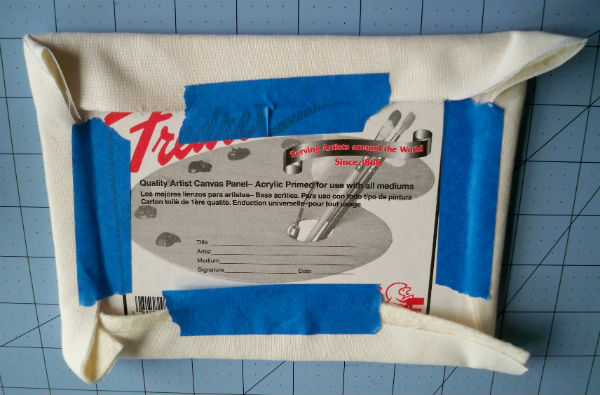 When corners are secured, remove the tape, one side at a time, and glue along the edges to secure the batting and embroidered fabric to the back of the canvas board. Make the back pretty by gluing a piece of fabric, felt, or paper over the raw edges. Cut it slightly smaller than the outside dimensions. Place the "textile art" on the easel and enjoy! What a great idea! 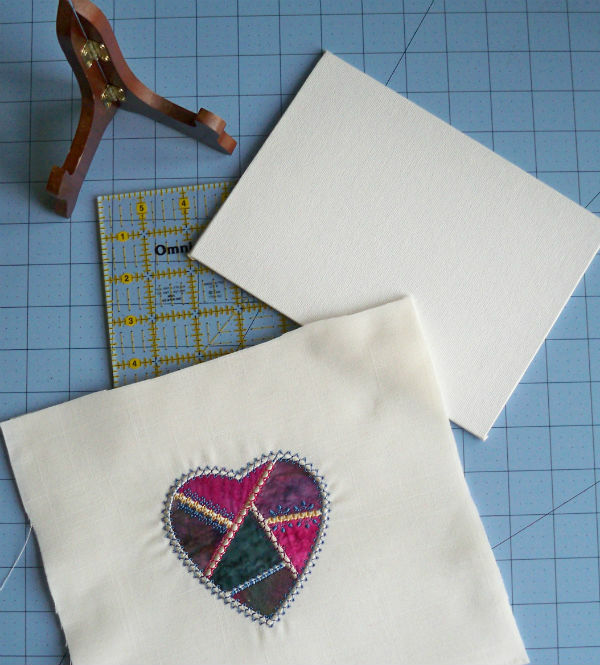 I keep my 'discovery sews' (that is what I call them) and give most of them to the quilting guild in my area. I have used some to sew on as patches for torn items. This would make a very lovely gift as well. With school on the horizon, there must be something for a classroom too. I love imagination, it is a 'muscle' that as it is used, becomes a better and better discoverer of new things. Imagination cannot be used up. I am wondering what the readers do with their tests.